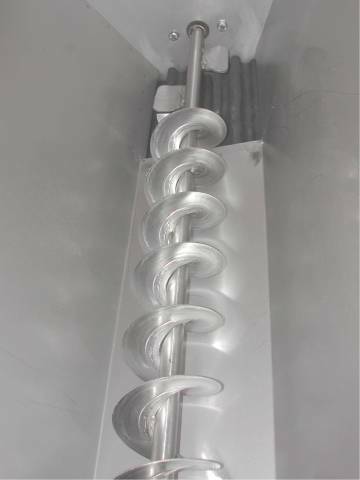 Heavy Duty all Stainless Construction for years of trouble free operation. Purchase optional stand or place on saw horses and crush into your primary fermenter. 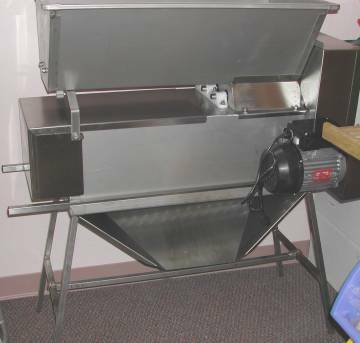 Large hopper with stainless auger that feeds fruit to soft rubber rollers for crushing.